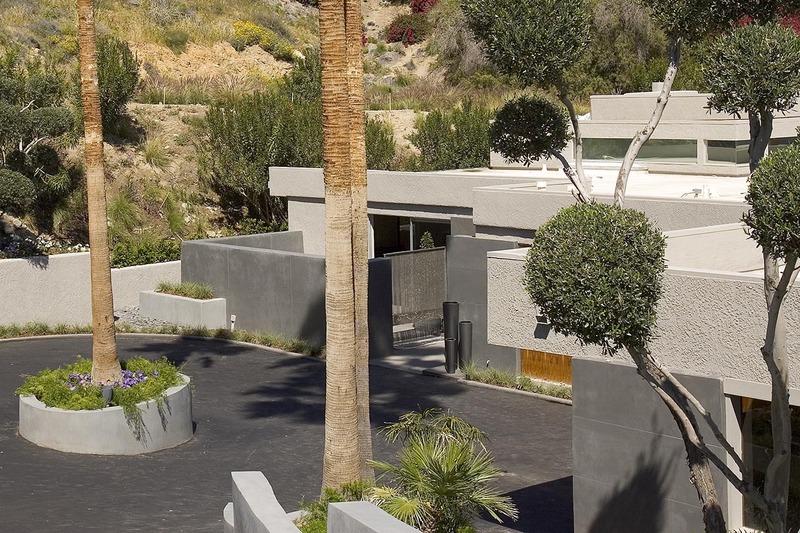 When the Tiger Tail residence, located in the exclusive Bob Hope Hills of Palm Springs, California, was purchased in 2005, the 35-year old property was in need of major renovation. Purchased by the luxury vacation rental company Time & Place, the designers’ goal was to take the unique space and convert each property into a one-of-a-kind sanctuary where celebrity and upscale clientele could indulge all five senses in a Zen-like sanctuary—worlds away from the stress, noise and pressures of busy city life. 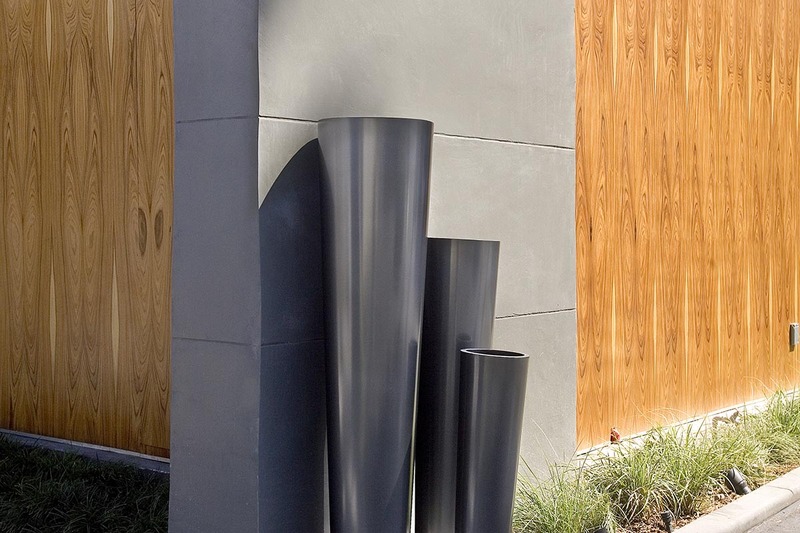 Case Study: Tiger Tail ResidenceSeamless transition between interior and outdoors. The client felt strongly about using sustainable surface products and green materials with low VOC; they also wished to apply guidelines of Vastu Shastra, a Hindu system of architecture integrating nature, symmetry and spatial geometry, to enhance their overall aesthetic design. SEMCO offered unlimited surface possibilities, environmentally friendly materials, and a deep passion for creating unique and inspiring spaces. 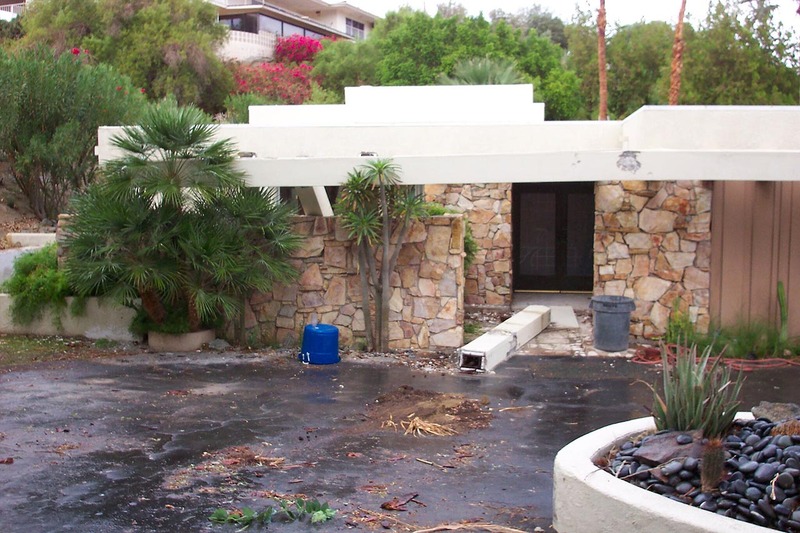 Given the Tiger Tail property’s historic designation, demolition had to be pre-approved by the Palm Springs Historical society and the City of Palm Springs; therefore, the preferred resurfacing method would be one requiring little to no demolition. Finding a company able to work within these parameters took time, whittling the client’s six-month renovation schedule to four. 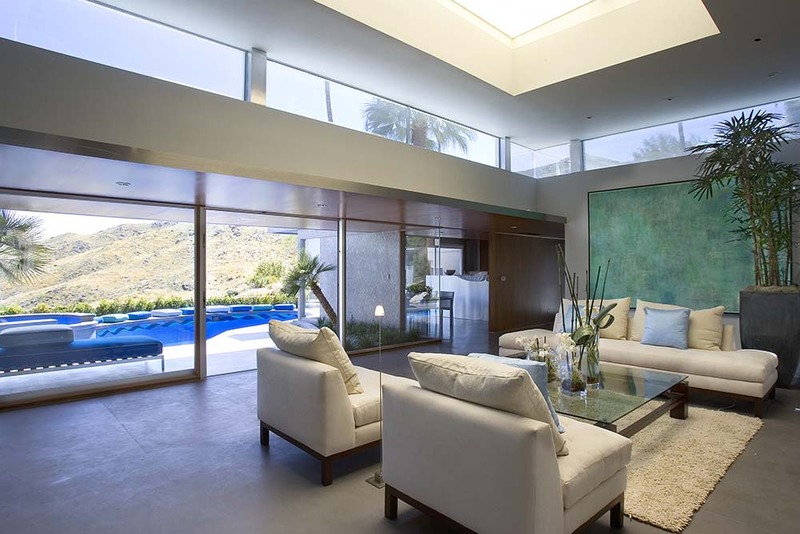 Ultimately, Time & Place hired a Las Vegas interior designer, who, in turn, recommended SEMCO. 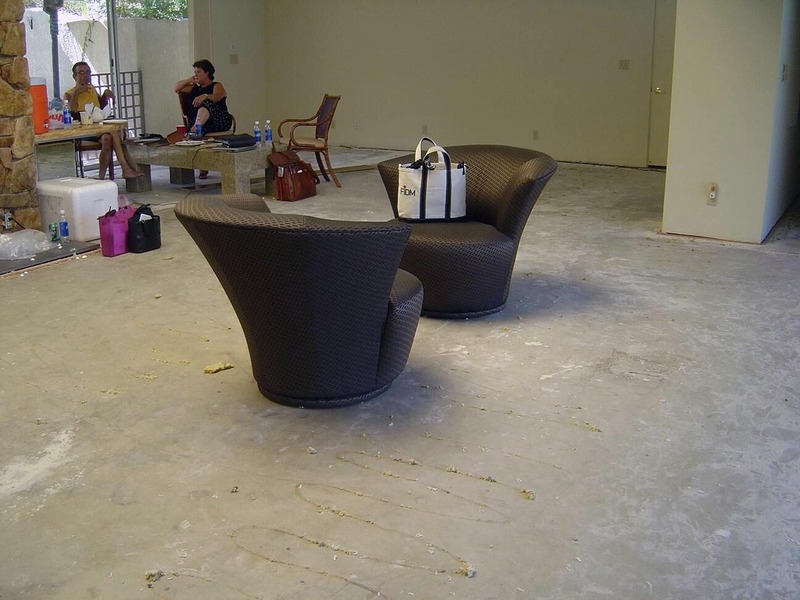 Utilizing conventional methods would have required everything but the property framework be demolished; but this wasn’t the case with SEMCO X-Bond Seamless Stone; We were able to accomplish the client’s aesthetic goals while requiring no demolition and no removal. 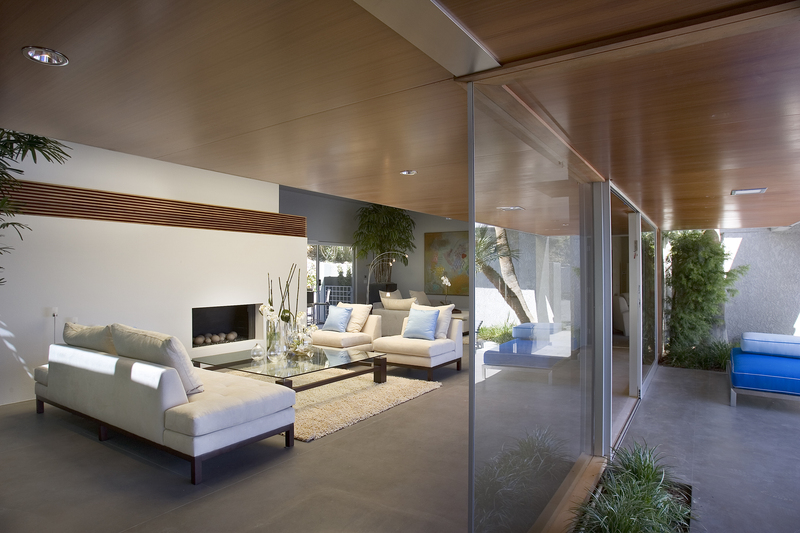 Time & Place wanted to create a sleek and fluid surface space to flow fluidly from room to room throughout the property, avoiding abrupt transitions and providing a beautiful, seamless space; tranquil and serene. To begin the transformation, SEMCO’s surface engineers prepped the sandstone entryway, creating an elegant guest entrance. Two inches of X-Bond Seamless Stone applied directly over the existing substrate effectively eliminated the original sandstone pattern and evened out the surface texture, creating the client’s desired seamless look. Case Study: Tiger Tail ResidenceExterior of the house BEFORE remodel. Case Study: Tiger Tail ResidenceDriveway and entry to the house AFTER remodel. Case Study: Tiger Tail ResidenceSEMCO X-Bond Seamless Stone over sandstone. Once the project was in motion, the designer requested several last minute changes to the original plan, sometimes on a daily basis. But this wasn’t a problem, given the unique, mechanical interlocking molecules of SEMCO’s Seamless Stone, which are able to accommodate design shifts without impacting schedule and budget. 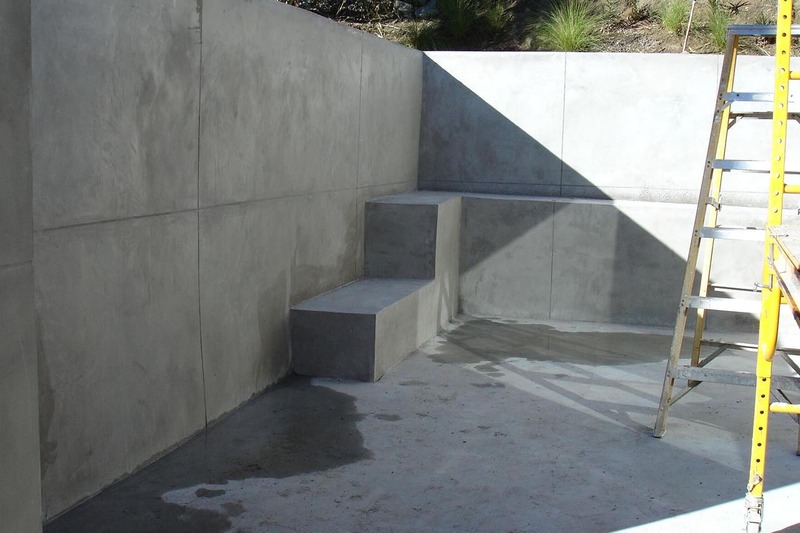 SEMCO was able to work with the fluid design and create a gorgeous, sustainable, waterproof surface. 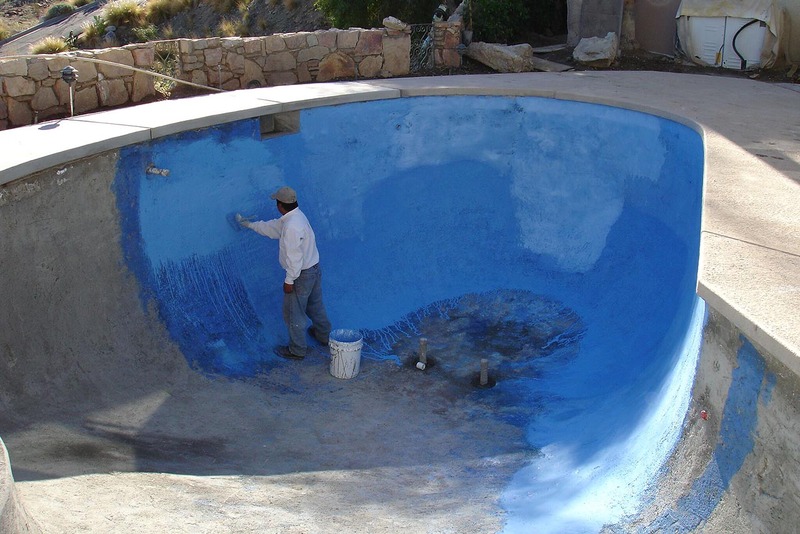 Case Study: Tiger Tail ResidenceSEMCO certified installer applying Color Bond to swimming pool interior. Case Study: Tiger Tail ResidenceOutdoor swimming pool AFTER remodel. 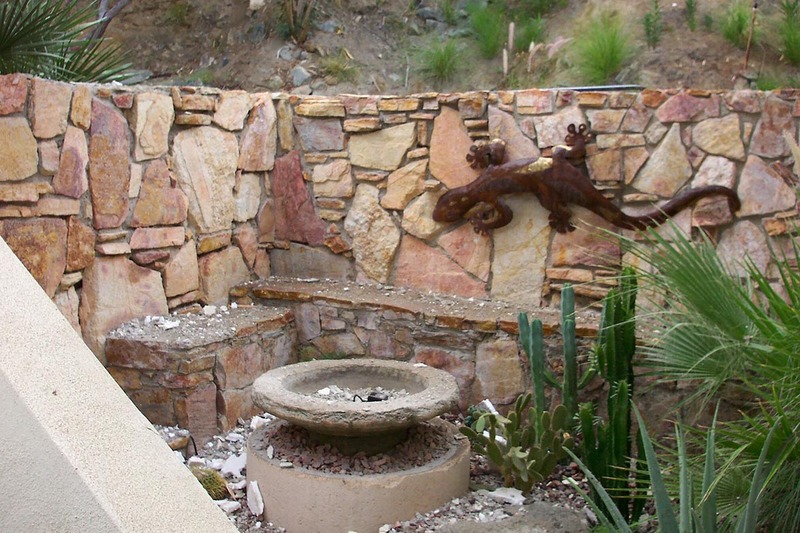 Case Study: Tiger Tail ResidenceNatural stone wall in the courtyard BEFORE remodel. Case Study: Tiger Tail ResidencePatio and family room AFTER remodel. Case Study: Tiger Tail ResidenceLiving room AFTER renovation. 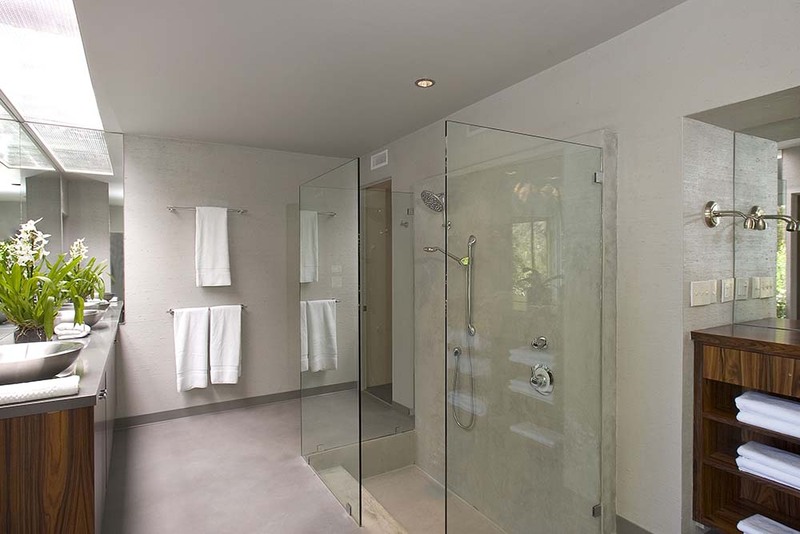 Case Study: Tiger Tail ResidenceMaster Bathroom AFTER remodel. 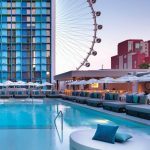 Case Study: Tiger Tail ResidenceDining Room, Pool and Palm Springs in the Background.